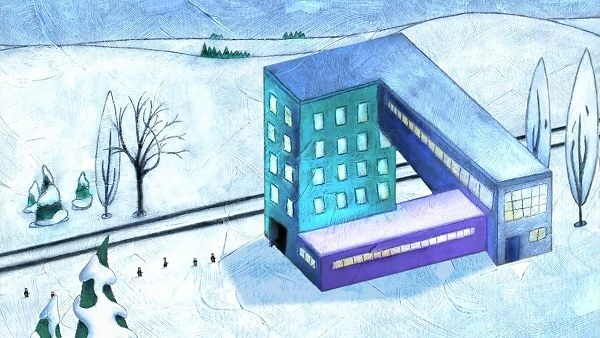 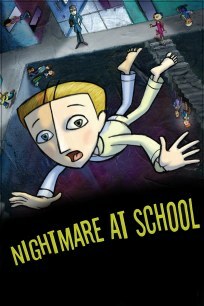 Nightmare at school is a animation film by Catherine Arcand in surrealistic style, which show dream of a schoolboy during ringing of alarm clock before his wake up. 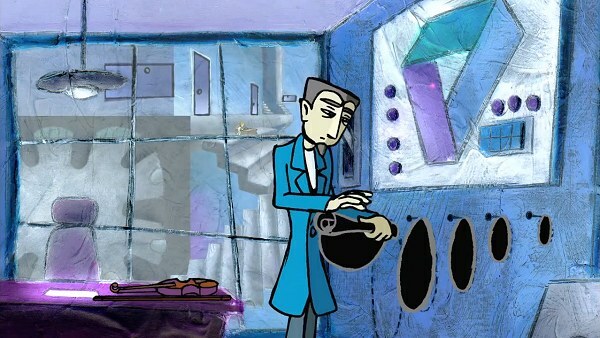 You can see the film online. 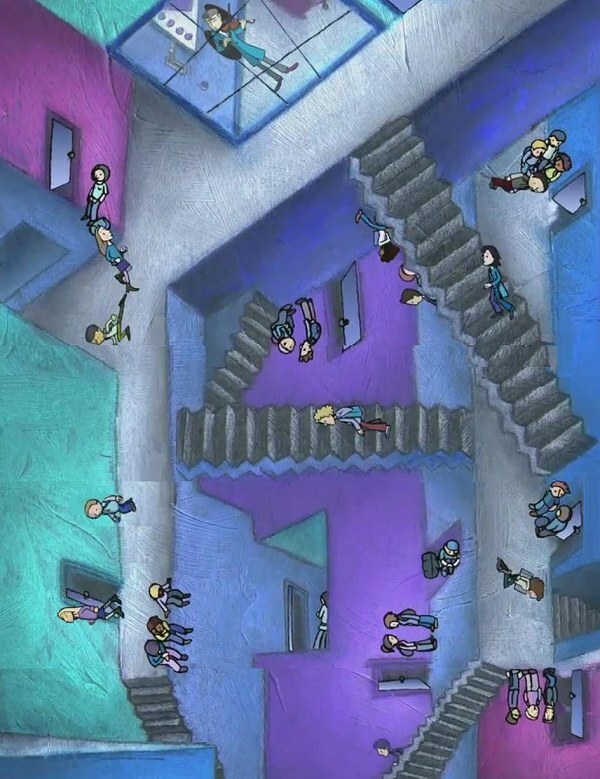 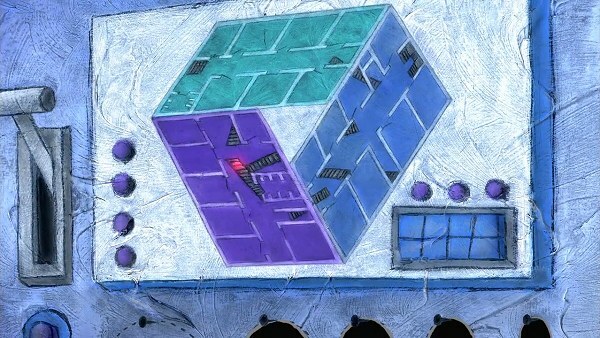 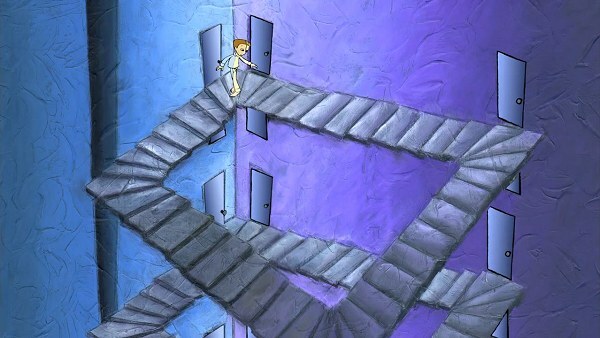 Merged several frames into single image, which show school hall as Escher Relativity-like room.